U.S. Presidents Franklin Roosevelt, Harry Truman, and Dwight Eisenhower had personal aircraft, all of which were given distinctive names by their VIP users. Commercial airliners had been used to transport the U.S. President up until 1943, when the U.S. Army Air Forces reconfigured a C-87 Liberator Express cargo plane. The Secret Service rejected it due to the safety record of that design, and a C-54 Skymaster was then used. 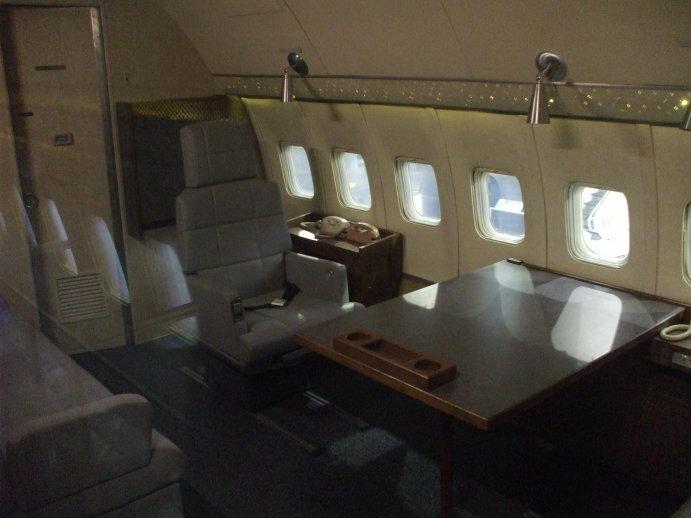 See the airborne toilets of Franklin Roosevelt and Harry Truman for pictures and more details of the early Presidential aircraft that were converted from existing transports. A USAF Boeing VC-137C Stratoliner, the military designation for the 707-320B, was built specifically for use by the President of the United States during the administration of John F. Kennedy. The aircraft had serial number 62-6000 and used callsign SAM 26000 (for "Special Air Mission") during routine flight, and Air Force One when the President was on board. 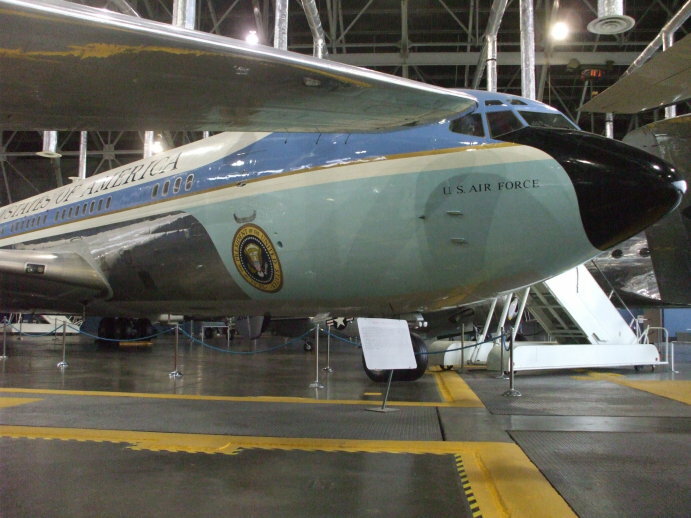 This aircraft carried John Kennedy and all of the next seven Presidents: Lyndon Johnson, Richard Nixon, Gerald Ford, Jimmy Carter, Ronald Reagan, George H.W. Bush, and Bill Clinton. Today it is at the National Museum of the U.S. Air Force at Wright-Patterson Air Force Base outside Dayton, Ohio. 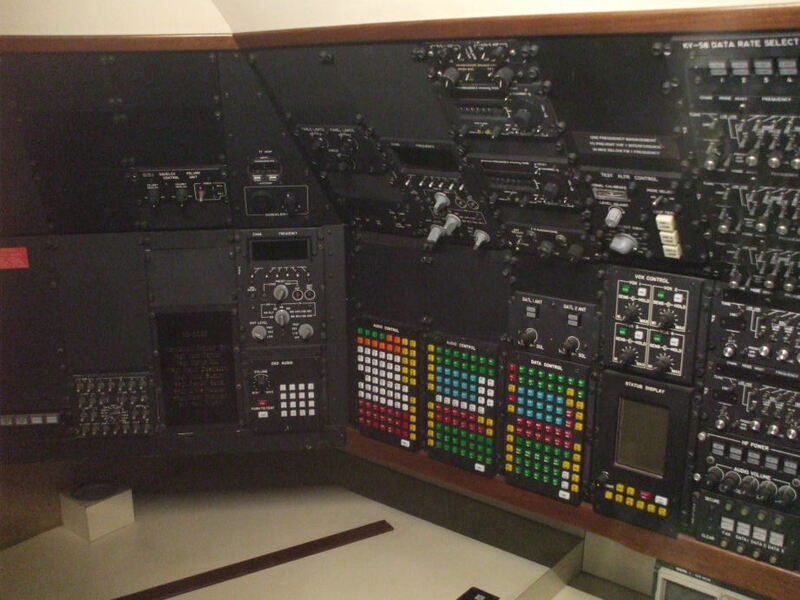 Eisenhower was the first President to use a VC-137/B707. During his "Flight to Peace" goodwill tour December 3-22, 1959, he visited 11 Asian nations while flying 22,000 miles in 19 days. The trip would have taken about twice as long on his Lockheed Super Constellation named Columbine III. Kennedy had used the three VC-137 jets used during the later Eisenhower administration, but in October 1962 the administration purchased a C-137 Stratoliner for use exclusively as a Presidential transport. That aircraft, SAM 26000, was in servivce from 1962 to 1998. A second VC-137C, SAM 27000, was put into service in 1972. SAM 27000 became the primary aircraft and SAM 26000 the backup, although all Presidents through Bill Clinton flew on SAM 26000. The USAF solicited proposals for two wide-body aircraft with unrefueled range of at least 6,000 miles in 1985, during Ronald Reagan's administration. Boeing submitted a 747 based proposal, McDonnell Douglas submitted a DC-10 based one. Reagan ordered two identical 747 units, designated VC-25A, with callsigns SAM 28000 and 29000. The first was delivered in 1990, during George H. W. Bush's administration. SAM 26000, the aircraft pictured here, was retired to the National Museum of the U.S. Air Force at Wright-Patterson Air Force Base outside Dayton, Ohio in 1998. 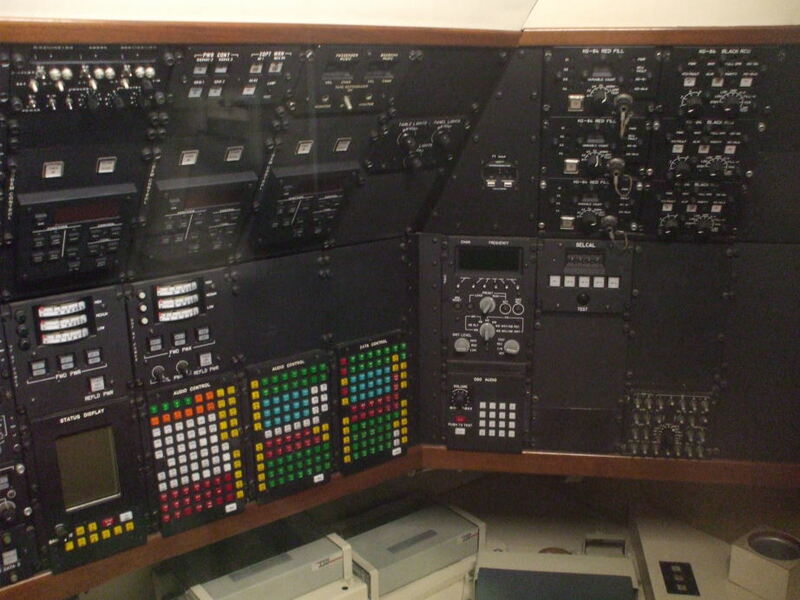 The nearly identical SAM 27000 was decommissioned in 2001. It was flown to San Bernardino International Airport in California, dismantled, transported to the Ronald Reagan Presidential Library in Simi Valley, and reassembled there and placed on permanent display. The above view of the Presidential Lavatory is rather limited. 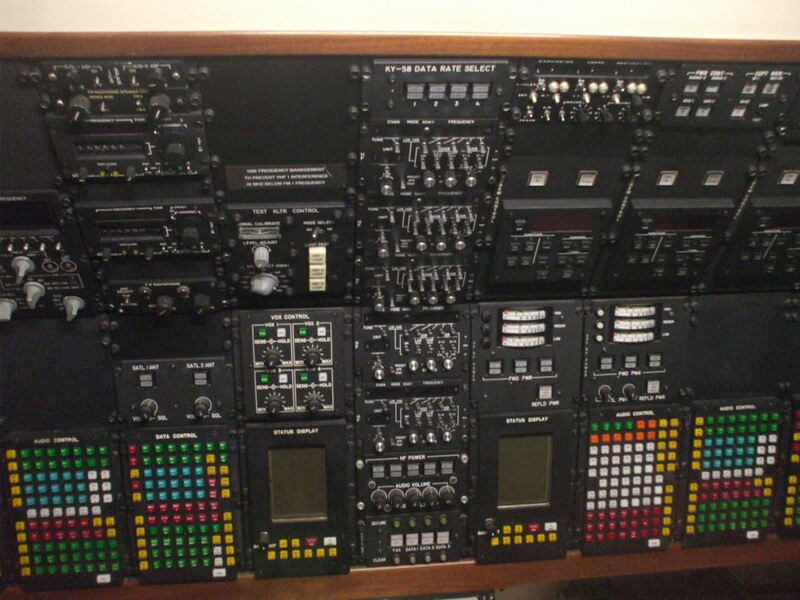 To try to make up for that, here is the communications station on board SAM 2600.